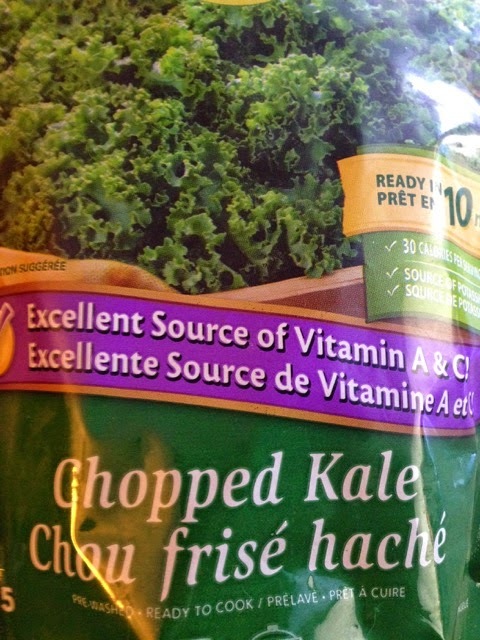 Can't seem to get enough kale? Reading every food label to make sure there's no gluten in what you're eating, even though you don't have celiac disease? Is "clean" eating on your mind a lot? Like, more than three hours a day? I have a friend with an allergy to sunflower seeds. He's careful with avoiding the seeds so he doesn't have an allergic reaction, which I've seen him go through when a restaurant meal had some of the offenders in it. Another person I know has colitis and has to avoid certain foods that trigger a crappy reaction. A year ago I was diagnosed with acid reflux (GERD) and mild Barrett's esophagus, so I've had to change what I eat, as well as when I eat (last food intake is many hours before bed) to reduce acid reflux. There are legitimate reasons for people to be fairly concerned about avoiding eating certain foods, (like gluten if you're a celiac), and it's a good idea to think reasonably about getting the nutrients and energy you need from your diet. Orthorexia, Greek- (ortho, "right, or "correct"), and (orexis, "appetite"), is when people develop an unhealthy obsession with eating healthy. Seems difficult to find a portion of the population not affected by either chronic overeating, or now another segment who have the same or similar emotional issues with food (food is a reward, and unhealthy reward seeking eating habits ensue), but take the healthy eating idea too far. This term was first coined by Dr. Steven Bratman in 1997. Orthorexia disordered eating is recognized as a thing, but hasn't yet achieved the full "eating disorder" clinical definition as of yet. There are some interesting scenarios that have a person leaning towards justifying their obsessiveness with healthy choices, the main one being that healthy choices are typically.. healthy. It's a good thing to avoid ultra crappy typical restaurant meals that are 1000 calories and have enough fat for the whole day in one meal, and enough sodium for three or four days, yet not enough of the vitamins and minerals you need. It's true that there aren't very many restaurants that serve a half decent healthy meal, so a person who is genuinely practicing balanced healthy eating, or has a real food allergy or sensitivity is likely to end up not eating out very much. However, one of the possible signs of orthorexia is an obsessive avoidance of restaurants for fear of not being able to have complete control over perceived "clean" eating. Do you have orthorexia because you avoid restaurants typical crap food? Or, are you simply making a healthy choice that allows you to enjoy life more? That's the problem with being an armchair observer of more serious medical issues.. it's easy to confuse and conflate information in a way that might have any person side step getting real meaning from it, or get access to the help they may need. I can see how a person experiencing orthorexia may feel like they're justified in their food choices because one can come up with legitimate healthy reasons to support at least a portion of their decision. Or how a person who has overeating issues that they haven't come to grips with yet might choose to judge a restaurant avoider as being unbalanced, so they can justify their own habit of overeating calorie-bomb meals at restaurants. There's a similar conundrum with compulsive exercise. Part of healthy exercise can be keeping records of what you do, so you can track your progress and avoid unhealthy trends like overreaching where you gradually become more fatigued, sore, and lose fitness from doing too much. A compulsive exerciser though won't see these signs as a healthy indication to take a rewarding break, they'll tend to feel shame and guilt for losing fitness, which they will equate to not doing enough training, so in a compulsive delusion the compulsive exerciser try's to "correct" symptoms of too much exercise, with more exercise. Since exercise is generally good for you, the compulsive exerciser is able to justify their choice by being in denial of the harm they're experiencing, and believing "exercise is good for me". Orthorexia paradoxically can lead to severe nutrient deficiencies as a persons compulsive delusion has them fixated on eliminating certain foods, and having a very limited selection of what they think are super foods. Some of the diagnostic questions that can help a clinician identify orthorexia behaviours are difficult to interpret. For instance, "Do you care more about the virtue of what you eat than the pleasure you receive from eating it?" The trouble with the concept behind the question is that eating purely for reward instead of for sustenance is one of the main drivers of overeating that causes obesity. So how do you answer that question? Furthermore, upon looking at that question, I can see how many might think, "yeah.. that's not good, I have to enjoy what I eat, it's unhealthy to think about the virtue of the food I eat". This would then serve as justification for unhealthy, but good tasting food. Good thing then that healthy food also tastes really good, so you can choose foods because they taste good and are good for you. If you find yourself choosing foods while being dismissive towards enjoying the flavour, it's worth reflecting on why this is. We sure have a lot of hang ups with eating. It's a pretty serious issue, there are more people harming themselves with chronic overeating than under-eating or an obsession with healthy eating, but harm is harm, and we generally don't do an honest self inventory of whether our food choices are harming or helping us. "Does your diet socially isolate you? ", is another question to asses orthorexia. Personally, my diet does seem to socially isolate me at times. I don't like hot dogs, not only because I simply don't enjoy them, but because they're pretty crappy food. Ditto for potato chips. Eating a potato chip won't kill me, but neither will eating an apple instead. However, there have been many occasions where I get teased and isolated for eating healthy. How do we work this one out? It's more typical to be urged into being included and welcomed into group overeating, and if you choose not to overeat, you may get the "what kind of diet are you on?" question delivered in a fairly snarky tone. It's the obsessive compulsive part of orthorexia that identifies the difference between making balanced healthy choices compared to choices based on excessive fear of eating unhealthy foods, and an obsessive drive to eat specific foods perceived as "clean". If you're wondering what you're eating, use one of the many free or cheap nutrition apps or websites. You'll know if you're getting the energy and vitamins and minerals you need. Be honest though, most people have a tendency to cheat themselves when they enter foods into a food diary by either not entering certain foods, or by changing what they eat on the day they record to something healthier, but not representative of what they really eat. Kale is great, but you won't be missing out if you never eat it, and instead get the same nutrients from a variety of other food sources. Pursuing healthy eating doesn't mean you're developing or have orthorexia, but if you feel huge guilt or self loathing when not eating healthy, or are consumed by the idea of singling out healthy choices, it's probably time to talk to a professional about it. For me, eating healthy (which can sometimes be inconsistent) has been a great relief from the multi fast food burgers and giant plates of pasta I used to eat. I feel better, I sleep better, and I avoid chronic weight gain and all the trouble that goes with it. And yes, I've avoided getting caught up in focusing on "superfoods" being some kind of panacea. Do you know where fat goes when you lose it? In 2013 I posted this (Exhale to lose fat ) explaining how, when we lose fat with a calorie deficit, the excess fat mass is lost through exhaling carbon dioxide. A study published in the British Medical Journal in 2014 supports my explanation, which I wrote based on the scientific understanding of fat loss, as opposed to all the goofy myths out there. The study is being presented as a breakthrough way to comprehend fat loss.. Except that I wrote about this a year before this study was published, the Mayo Clinic has an article on it, and the Youtube channel Veritassium also did a video on it in 2012.. each long before the BMJ study was published. Plus this is the basic biochemistry I learned in coaching courses over 20 years ago.. not new stuff.. forgotten and ignored by most, but not new. I'm glad the study was published and I hope there are more like it to put a dent in all the misinformation out there.. but.. breakthrough? Not so much. In addition to providing the empirical measurements that showed definitively that indeed, all the fat lost during weight loss can be completely accounted for in carbon dioxide and water, 100% of the time, the researchers also did a survey questioning doctors, dieticians, and personal trainers about the physiology of fat loss. Zero personal trainers knew the answer. No family doctors knew the answer. A few dieticians knew the answer (real dieticians, not the phoney ones who sell you BS fads). Over 60% of those surveyed mistakenly believed that fat mass is lost to heat and "energy". Some thought it turned into muscle, some thought it was lost in faeces, and some, thankfully, were able to admit they didn't know. Slight issue with that mass into energy thing.. when mass loss does actually go to actual energy.. it's under very specific circumstances.. like inside a star when hydrogen is fused into helium and a photon is produced, ok.. lots of photons, and lots of heat. Even that mass loss to heat and light is proportionately small.. nowhere near the comparative mass converted to energy rate proposed by so many for explaining fat loss in humans. So unless everyone losing fat has more density than a black hole and is losing huge mass on a quantum level, then it's pretty safe to say this myth is busted. Only a caloric deficit causes fat loss. Fat is made out of carbon, hydrogen, and oxygen. When we use up our fat stores to make our bodies move, 100% of the carbon, hydrogen, and oxygen atoms can be accounted for. There is no quirk of metabolism that hides away some mystery fat. The food we eat is made of.. yep, mostly carbon, hydrogen, and oxygen. Stored fat is made of the same stuff, and we're left over with exactly the same amount of these atoms we started with; all is accounted for. We can weigh the water and carbon, as was done in the BMJ study, and it weighs exactly the same amount as the fat lost, which weighs exactly the same amount as the extra food calories when we overate. Calories in, calories out. Don't let any of the hucksters fool you with their pseudo science. The main issue with successful fat loss isn't understanding the physics, it's understanding ourselves. We become entrained in overeating through a combination of cultural influences (eat! eat! eat! ), altering our appetite regulation through continued overeating and poor sleep, and using food as a soothing escape from things that cause us emotional turmoil. We don't want to face these overeating issues because it's emotionally difficult to do so. It's hard to change, hard understand the connection between food and escaping our difficult issues. It's hard to admit that when we view overeating as a worthy celebration, that we're actually justifying harming ourselves over and over again. In the 30 years I've been doing this, the only folks who have successfully lost weight and kept it off for more than 5 years, have been those who have found a way to come to grips with the complex emotional issues that drive the desire to overeat. Studies show that folks who lose fat permanently and never gain it back did not change their metabolism in any way.. they changed their behavior and destructive emotional association with food. They developed new healthy living habits and never stopped them. It's difficult to change how we think, feel, and behave, but so rewarding, so liberating, and so worth it. Why do we fall for the fat loss myths and dismiss the proven physics of fat loss? Because believing the myths is easier than facing the uncomfortable truth about why we're driven to overeat.